The Faith Fairchild titles are listed in order of publication. During her years spent in New York City, Faith Fairchild was convinced she had seen pretty much everything. But the transplanted caterer/minister's wife was unprepared for the surprises awaiting her in the sleepy Massachusetts village of Aleford. And she is especially taken aback by the dead body of a pretty young thing she discovers stashed in the church's belfry. The victim, Cindy Shepherd, was well-known locally for her acid tongue and her jilted beaux, which created a lot of bad blood and more than a few possible perpetrators — including her luckless fiancé, who had neither an alibi nor a better way to break off the engagement. Faith thinks it's terribly unfair that the police have zeroed in on the hapless boyfriend, and so she sets out to uncover the truth. But digging too deeply into the sordid secrets of a small New England village tends to make the natives nervous. And an overly curious big city lady can become just another small town death statistic in very short order. 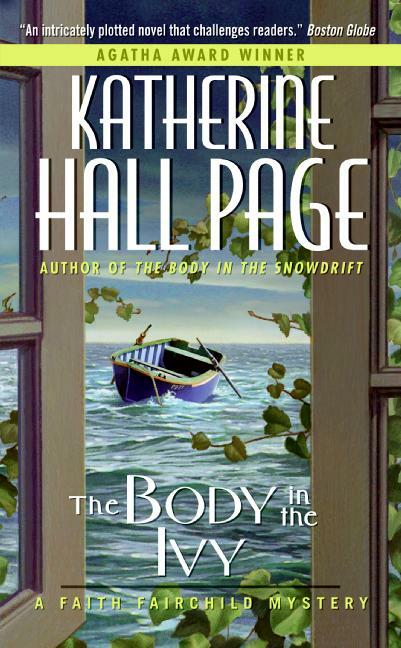 Faith Sibley Fairchild, heroine of The Body in the Belfry returns to amateur sleuthing in The Body in the Kelp. This time around, Faith and her husband, Tom Fairchild, the handsome young minister, have left the little village of Aleford, Massachusetts for a summer on Sanpere Island, off the coast of Maine. But Tom is called away to a three-week religious retreat in New Hampshire, leaving Faith to amuse herself and care for baby Benjamin, now safely into his "terrible twos." The summer begins innocently enough, with Faith involved in a seeminly harmless mystery, a hunt for treasure, the clues to which are cryptically embedded in a patchwork quilt. Then she and young Benjamin almost stumble over the body of another summer resident along the beach, and Faith is forced into more serious — and dangerous — "detection." Minister's wife, sometime sleuth, and culinary artist Faith Sibley Fairchild is intrigued by rumors of mysterious doings at Hubbard House — an elegant, secluded retirement home for the well-heeled Yankees of Aleford, Massachusetts. Determined to do some surreptitious snooping, she joins the pricey retreat's flu-depleted kitchen staff, only to witness an aging resident collapse face-first into a bowl of Faith's hot and savory boillon. 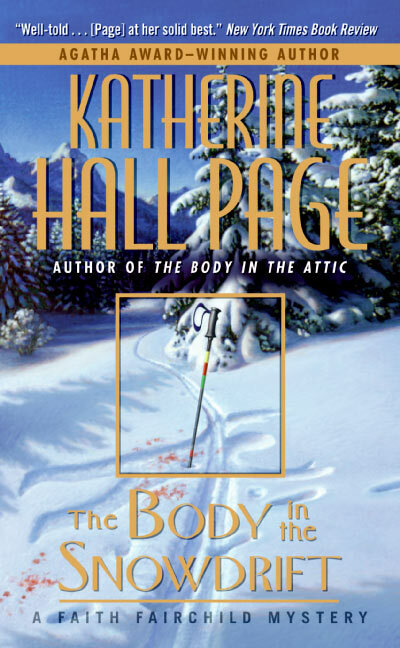 But it isn't until a blackmailing drug dealer turns up dead in Faith's bedroom that the amateur investigator realizes that murder not only happens at Hubbard, it's the specialty of the house! And Faith's own demise might very well be the next item on the menu. Satisfying her hunger for epicurean adventure in the French provinces, small town caterer and minister's wife Faith Fairchild decides to throw the perfect dinner party. But during cleanup after the last guest has departed her gastronomical triumph, she encounters something neither expected nor welcome: a dead body lying in her vestibule. Unfortunately it doesn't help la belle americaine's credibility when the corpse vanishes before the local gendarmes arrive. 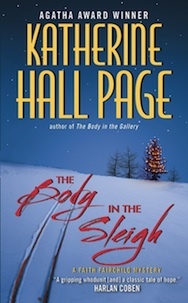 But Faith realizes that, though the police refuse to take her seriously, a killer just might. And if she doesn't get to the bottom of this fiendish French conundrum, Faith's recent successful feast could end up being her last. Hollywood has come to town — and Faith Fairchild has to feed it! Hired to cater meals for the movie crew that is filming a modern-day version of The Scarlet Letter in the tiny New England village of Aleford, Faith is eager to treat the talented tantrum-throwers to the best of her culinary delights. But an accusation that her famous Black Bean Soup is poison has left a bad taste in Faith's mouth. Her exploration into the source of the nasty slander leads the amateur investigator behind the scenes to a shocking off-camera murder. And suddely more than Faith's reputation is at stake — her life itself could end up on the cutting room floor. Pix Miller, Faith Fairchild's next-door neighbor, expects to find more than a hole in the ground when she goes to check on the progresss of the summer cottage the Fairshilds are having built on Maine's Sanpere Island. She expects a concrete foundation. 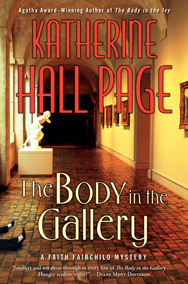 What she doesn't expect is a very dead body wrapped in a very valuable antique quilt! The deceased is a local handyman with a suspiciously lucrative sideline in antiques. Sharing her friend Faith's inquisitive nature, Pix resolves to restore Sanpere's shattered peace. But by digging too deeply the determined Ms. Miller just might be arranging another burial — her own! Faith Fairchild is momentarily shocked to find her husband, the Reverend Thomas Fairchild, embracing Lora Deane — and relieved to discover the distraught nursery school teacher is merely seeking solace and advice. Lora has been receiving threatening phone calls. And she's not the only resident of tiny Aleford, Massachusetts, who is being terrorized. Ever since local environmentalists have begun protesting the proposed housing development that will destroy Beecher's Bog, the more vocal opponents have become targets of a vicious campaign of intimidation — which is more than enough reason for Faith to launch into some clandestine sleuthing. But when a body turns up in the charred ruins of a very suspicious house fire, Faith is suddenly investigating a murder — and in a serious danger of getting bogged down in a very lethal mess indeed! This time out, smalltown caterer and minister's wife Faith Fairchild's neighbor, Pix Miller, takes center stage, heading off to Norway to investigate the sudden disappearance of a family friend. Determined to discover the truth, Pix is drawn into a suspenseful world of intrigue, stolen antiques, secret histories, and deadly echoes from Norway's past and the Nazi occupation. Surrounded by the country's breathtaking beauty, the ever-resourceful New Englander perseveres — until at last she finds herself face-to-face with a remorseless killer...with no way out. 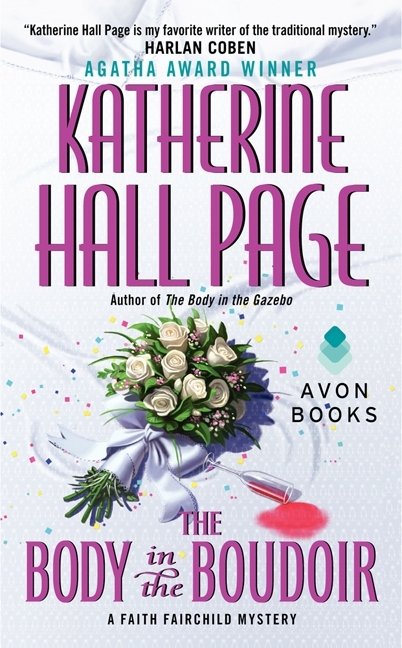 Stretched almost to the limit by the capricious demands of a Boston Brahmin bride-to-be, caterer and minister's wife, Faith Fairchild, faces real tragedy when she discovers the body of an elderly friend. Sarah Winslow had apparently suprised burglars ransacking her Aleford, Massachusetts, house. No sooner has Sarah been laid to rest than the Fairchildes find themselves the next target — the parsonage is stripped of all their most precious possessions. Devastated and furious, Faith takes action, scouring pawnshops, antique marts, and auctions. As she turns up some of their stolen property, she is drawn onto a dangerous path of larceny and corruption in New England's venerable antique business — a path that soon leads Faith straight to a killer! Young, ambitious and single in New York City in the late '80s, Faith Sibley is energized by the early success of her Have Faith catering enterprise. But she's cast into an unexpected new role when she runs into old high school friend Emma Stanstead at a swanky uptown party: sleuth! An anonymous blackmailer is threatening to expose certain secretes of socialite Emma's less than glamorous past — thereby destroying her reputation and her conservative husband's fast-rising political career — and Faith fearlessly leaps into the fray. Though she lacks experience, Faith's keen instincts, insight, and determination to unmast an extortionist quickly carry her deep into the high and low life of the bustling Big Apple. And when a murder raises the stakes, Faith realizes that it's not just her old friend's good name that's in peril...it's Emma's life itself. Minister's wife Faith Fairchild is excited about catering her church's restoration campaign kickoff at historic Ballou House. But when a beautiful young woman dies moments after finishing dessert, Faith is suddenly in serious trouble. Not only is her business in jeopardy — but Aleford's wagging tongues are suggesting that Faith herself laced the goodie with cyanide, having discovered her husband Tom's perhaps overly pastoral interest in the victim. Faith's world feels steeped in poison and never before have her amateur sleuthing skills been more crucial — especially when another body is found in the moonlight carrying an unmistakable warning: you're next! Caterer and small-town minister's wife Faith Fairchild might never have accepted the job teaching a course on Cooking for Idiots at Mansfield Academy had it not been for Daryl Martin. Daryl has lately become the target of a series of vicious and anonymous racial attacks — and Faith is determined to put an end to the injustice. But Mansfield, she finds, is a seething cauldron of secrets, academic in-fighting, and unspoken rules that complicate her task. When someone tampers with her classroom cooking ingredients -- and then the remains of her prime suspect are discovered smoldering in a campus bonfire — she realizes that a monstrous evil is stalking both Daryl and the school. And suddenly Faith's own life is in serious jeopardy as well! To escape the misery of a sweltering August in Aleford, Massachusetts, caterer and minister's wife Faith Fairchild and her family head for their cottage on Maine's peaceful Sanpere Island in Penobscot Bay. But things have changed since their last visit. An aggressive developer is moving forward on plans that will destroy the unique ambience of the island, infuriating residents. Tensions are running dangerously high, and soon exploring the grounds of Sanpere's historic lighthouse. With fear running rampant and volatile emotions approaching the detonation point, the intrepid sleuth must track down a killer for the sake of a friend and the island she loves. 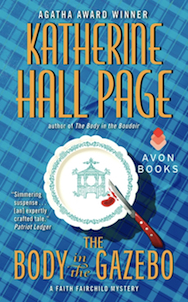 Amateur sleuth/caterer Faith Fairchild and her family are living in Cambridge, MA, while the Rev. Thomas Fairchild teaches at the Harvard Divinity School. Soon Faith is plunged into the past. A face from her past days reappears, plus she discovers a shocking diary in the old house's attic. Is it too late to uncover the truth — and too dangerous? Caterer Faith Fairchild has a bad feeling about her father-in-law's decision to celebrate his seventieth birthday with a family reunion ski week at the Pine Slopes resort in Vermont -- the Fairchilds' favorite getaway since Faith's husband, the Reverend Thomas Fairchild, was a toddler. At first her unease seems unfounded -- until Faith comes across a corpse on one of the cross-country trails, the apparent victim of a heart attack. Then one catastrophe follows another: the mysterious disappearance of the Pine Slopes' master chef, a malicious prank at the sports center, a break-in at the Fairchild condo, the sabotage of a chairlift. And when a fatal "accident" with the snow-making machines stains the slopes blood red, Faith realizes she'll have to work fast to solve a murderous puzzle -- because suddenly not only are the reunion and the beloved resort's future in jeopardy . . . but Faith's life is as well. In Agatha-winner Page's delightful 18th Faith Fairchild mystery (after 2008's The Body in the Gallery), Faith and her family get away to their cottage on Sanpere Island in Maine's Penobscot Bay for the Christmas season. Tranquility reigns only briefly before Faith finds a young girl's body tucked among the mannequins in a local holiday display. If this wasn't enough to keep Faith busy, she receives a Christmas Eve call from reclusive goat farmer Mary Bethany, who's discovered a babe in her manger-a newborn boy inside her barn, along with a puzzling note and a serious bankroll. When Mary determines to keep the baby safe and Faith attempts to locate the birth mother, both women end up in peril. Amid the holiday festivities, Faith wears the hats of good wife and mother while slipping into her sleuth cap at every opportunity. Her investigative work builds to an exciting conclusion. Faith's kitchen skills result in some wonderful recipes listed at the end. "I have to tell you something . . . something that happened a long time ago." When Ursula Lyman Rowe speaks these words to Faith Fairchild from her sickbed in Aleford, Massachusetts, Faith has no idea what lies in store for her. It all starts when Ursula's daughter, Pix Miller, Faith's best friend and neighbor, reluctantly leaves town for her son's wedding preparations. Pix knows that Faith and her husband, the Reverend Thomas Fairchild, will keep an eye on the slowly recovering Ursula. What she and Faith don't know is that the tale Ursula spins over the course of several weeks will reveal an unsolved crime dating back to 1929 and the Great Depression. A moving, suspenseful tale, The Body in the Gazebo is an evocative journey into the past, where truth hangs suspended by the threads of one woman's memory�and the present-day consequences of that truth prove to be devastating. Faith Fairchild and her husand are celebrating a big anniversary with a trip to Italy, filled with exquisite indulgences—the art, the Chianti, the food, the Ferragamos! After a weekend in Rome, they'll travel to Tuscany, where Faith's former assistant Francesca has opened a cooking school. But, along with pecorino, panna cotta, and prosecco, it looks like murder and mayhem are also on the menu! On their fist night in the Eternal City, the Fairchilds stumble upon a dying man in the Piazza Farnese. Mysterious characters from Rome resurface in Tuscany. And somebody is intent on sabotaging Francesca's new business. It's up to Faith to put everything right—and still whip up a mean Spaghetti a la Foriana, of course! Attorney Sophie Maxwell has come to Savannah to be with her new husband, Will. But nothing throws cold water on a hot relationship faster than a dead body. Worse for Sophie, no one believes the body she knows she saw is real. Will is spending an awful lot of time in Atlanta on a case he claims is urgent, and she’s been tasked with house hunting for them with his former sweetheart, who Sophie can’t help but suspect wishes Sophie would return to her Yankee roots! Fortunately, Sophie has a good friend in Faith Fairchild. With teenage Amy being bullied by mean girls and husband Tom contemplating a major life change that will affect all the Fairchilds, Faith is eager for distraction in the form of some sleuthing. In between discussions of newlywed agita, surprising Savannah customs and, of course, fabulous low country food, Faith and Sophie will pair up to unmask a killer. 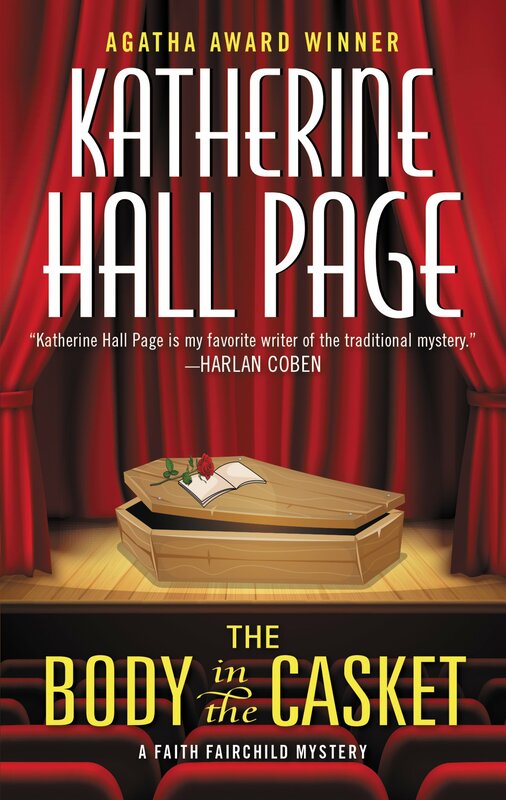 A selection of recipes from the Faith Fairchild mysteries by Katherine Hall Page, with supplementary information on the composition of these books and the place of food within them. Jack Sutton has been on meds since third grade, when his mother came to his classroom and discovered his teacher had put him in a washing machine box. Jack and his friends refer to the nurse's office, where they line up daily for their medications, as Club Meds. 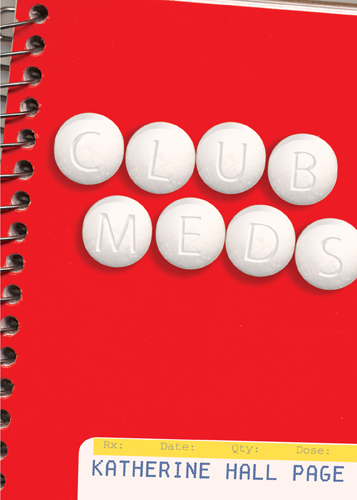 But Club Meds is no vacation spot -- it's what enables Jack and Mary, who have ADHD, and Sam, who suffers from epilepsy, to navigate the treacherous waters of Busby Memorial High School. So when major-league bully and Jack's longtime nemesis Chuck forces Jack to turn over his Ritalin, Jack is once again in a box, one that's far more frightening than a discarded packing carton. The kids from Club Meds come to Jack's defense with a plan that's outrageous and dangerous, and a long shot at best. It will test their determination and their courage -- and it will change their lives forever. Three new eighth-grade girls at Cabot School find that their shared interest in mysteries comes in handy when the roommates are blamed for a series of thefts at the school. 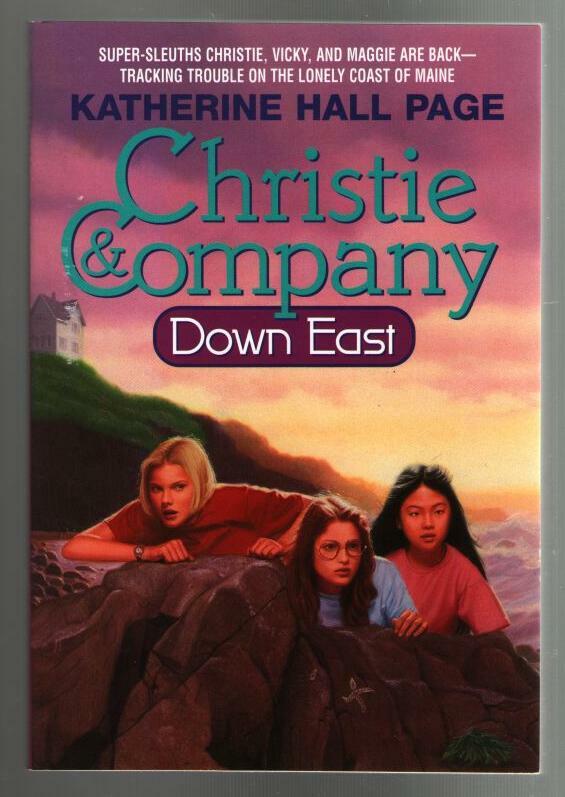 The second delightful mystery adventure in the Christie & Company series takes place at a bed-and-breakfast on the coast of Maine.Boarding school classmates Christie, Maggie and Vicky are spending their summer vacation at Maine's Blue Heron Inn, owned by Maggie's parents, when strange things start happening -- all designed to frighten the guests. The girls suspect sabotage and Christie & Company get on the case to catch the culprit before the inn is put out of business. 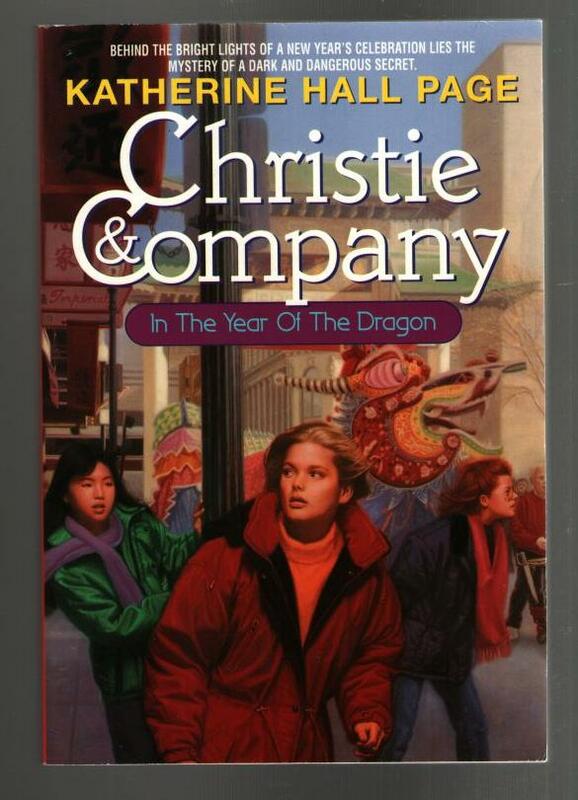 Christie & Company, a band of sleuths from the Cabot School, has expanded to four with the inclusion of new girl, Bi Yun, who's an immigrant from mainland China. Bi Yun, who likes to call herself Blair, is attending the Cabot School on scholarship and loves her new world. 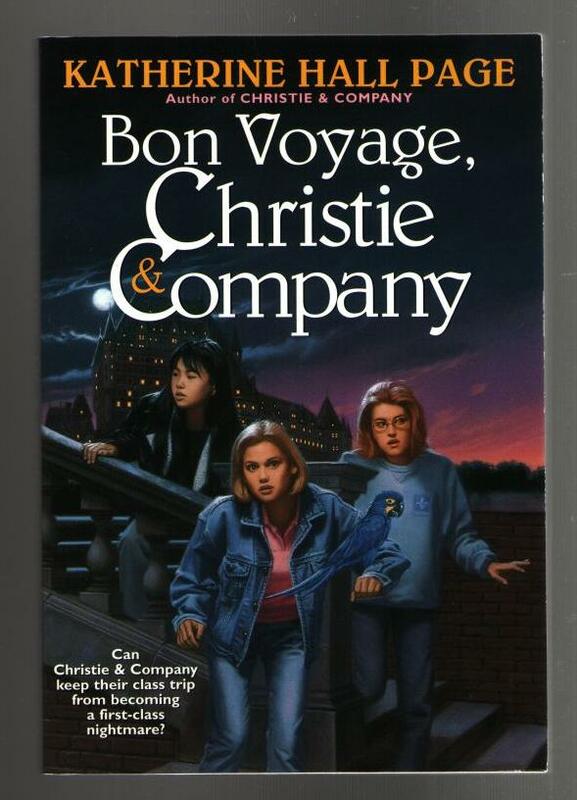 But when Blair abruptly drops out of school to help at home, then drops out of sight completely, it's time for Christie & Company to solve the mystery of Blair's disappearance and what is troubling her family in strange and mysterious Chinatown. Why did Blair lie about where she lived, what are all the garments she is carrying across town and who are the strange, menacing men Blair is fearful of? In "Christie & Company In The Year Of The Dragon", Katherine Hall Page wraps her mystery around the timely and compelling issue of immigration and immigrant rights in the United States. With a mystery writer's eye for detail, Page weaves the traditions of China and Chinatown through the story, which culminates during the exciting time of Chinese New Year. Christie, Maggie, and Vicky a.k.a. 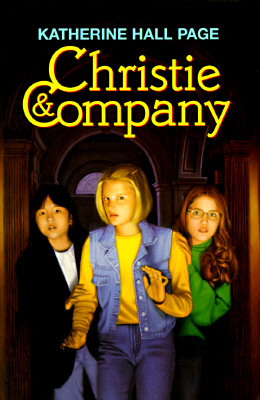 Christie & Company are best friends with a passion for solving mysteries. On an April vacation trip to Quebec City, Christie sees her friend Scott's best friend Ethan put tip money from a restaurant table into his knapsack. Christie would like to forget it, but she can't, because Ethan steals again. Meanwhile, as the girls soak up the history and culture of the city, daily life at their bed-and-breakfast with Monsieur and Madame LeClerc, Madame's spirited teenage daughter, Sophie, and Sophie's creepy eleven-year-old stepbrother gets stranger and stranger. Before long the three friends are swept into the shadowy affairs of the B&B and begin to suspect that members of the LeClerc family are involved in something illegal. 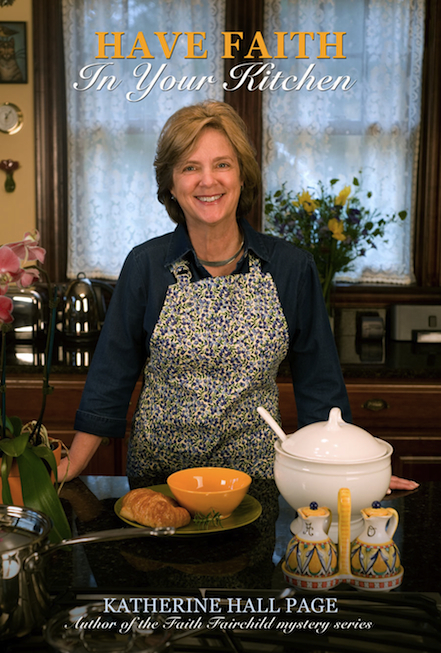 For years, Katherine Hall Page has delighted readers with her Faith Fairchild series, each book like a delicious, satisfying meal. Now, Page has whipped up a tasty collection of appetizing bites. In “The Body in the Dunes,” Faith’s vacation offers more excitement than she and her husband bargained for when a terrified woman knocks on their hotel room door looking to hide from her husband. A case hits close to home in “The Proof is Always in the Pudding,” when Faith investigates a generations-old superstition that has been passed down in her husband’s family. Faith and her sister, Hope, counsel a bride-to-be suffering a number of alarming “accidents” before the big day in “Across the Pond.” In “Sliced,” Faith switches from contestant to detective when a killer reality television cooking competition turns deadly. 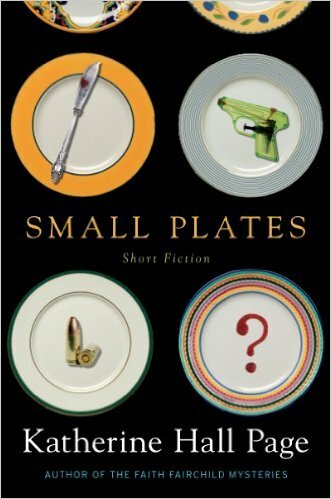 Small Plates also includes some irresistible standalone treats, including the Agatha Award–winning “The Would-Be Widower,” about a husband who longs to be rid of his wife, and “Hiding Places” in which a young wife’s new husband may not be all that he appears.